Years ago, coding seemed like an extraordinary skill. It was available only for a particular group. They created and developed websites, and all computer dummies could not understand how they did that. But times have changed and technologies have moved further. So here we are, living in the world where building sites don’t necessarily mean working with code. In the beginning, God created the heaven and the earth … CMS. WordPress, Joomla, Drupal are by far the most popular content management systems for websites. But we all know the who the absolute winner is. Ever since the time of its inception, WordPress dominated the Web, providing peace to the Galaxy easy website creation to even those who didn’t know the ABC of web design and development via coding languages. Soon enough, however, it met new force, rapidly expanding in power. WordPress dominant met stellar competition from Flash-powered website creation tools, both offline and online, that helped everyone create a website using a drag-and-drop style interface. The ease of just dragging a content element, say a text box, and placing it anywhere on the screen, was even better than the WYSIWYG editor that WordPress presented (and still does). The competition ended in merging. Drag-and-drop page builder plugins emerged as a result of the consolidation of WordPress themes and Flash builders. They are keeping the former dominant relevant, and deliver the best of web design evolution to users. These plugins make website creation equally easy for veterans as well as newbies in the world of website creation. WordPress page builders handle the complete design control in the hands of the user, enabling him/her to create visually stunning web pages in a jiffy. 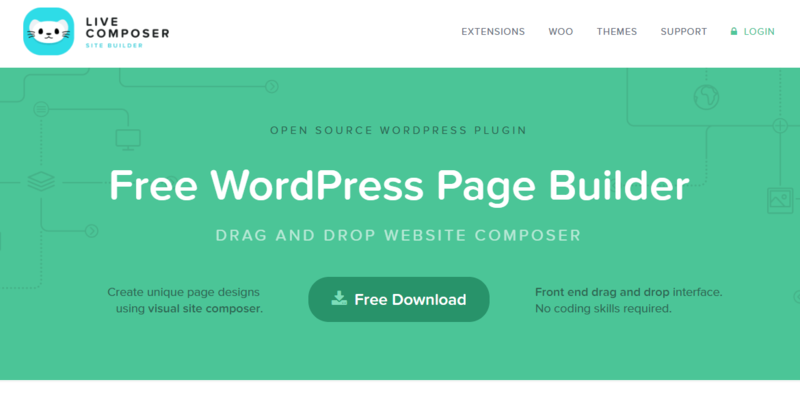 There are dozens of drag-and-drop page builder plugins for WordPress on offer. Before you pick one of them and embark on your website design adventures, let’s slow down for a few minutes and take a closer look at these plugins. What’s drag-and-drop WordPress website builder? Why do you need Drag-and-Drop page builder plugins for WordPress? A WordPress drag-and-drop page builder plugin is (what a surprise!) exactly what it sounds like. Let’s break the terminology down. Plugin: Well, it’s a software that you can install and integrate with your WordPress account. Page Builder: This plugin will help you build web pages on WordPress. Drag-and-Drop: To enable web page building, the plugin offers you a drag-and-drop styled editor, where you can pick up preset content elements (such as text boxes, shapes, image boxes, videos, image slideshows, etc. ), drag them, and drop them at the point on the screen where you want them to appear in the design. More clearly, these plugins are advanced page builders that are very different from the default post creation editor window of WordPress. Now, with your basic WordPress, you have the ‘text’ mode (where you need to write HTML code) or the ‘visual’ mode where you can see your web design’s preview and use basic on-screen content editing using clickable content element buttons. A drag-and-drop page builder provides you with a third option, that’s an editor with pre-made widgets, design components, and content blocks. 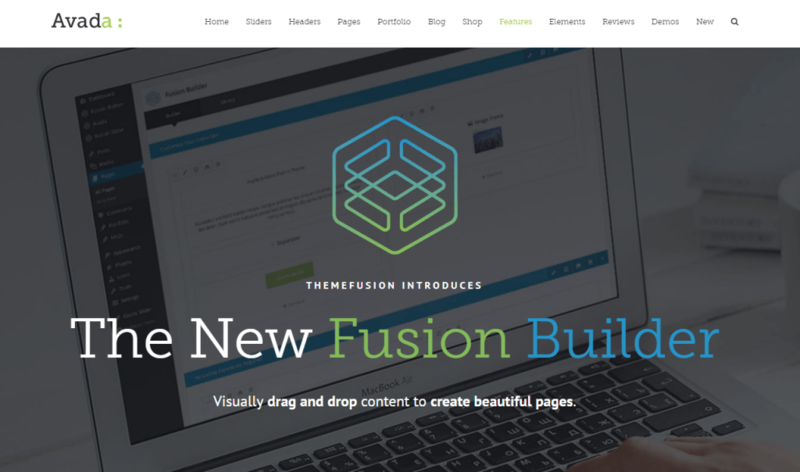 Take your mind back to the widgetized sidebar of a WP theme. Remember how you could drag-and-drop widgets and easily reshape the sidebars? In a similar manner, these drag-and-drop free builder plugins let you use widgets that represent design and content elements, and you can drag and drop them to build sophisticated and visually impressive web pages. Advanced page builder plugins even allow you to create your own widgets, add additional widgets, and integrate default WordPress widgets for creating your web pages. Easy further page customization. Your WordPress website is a lot more than the initial design you go live with. There will always be rework, additional pages, and more content being added. A drag-and-drop page builder makes this subsequent work easier, quicker, and better. No coding knowledge is necessary. You may be comfortable with HTML5, CSS, and default WordPress editor. But there will be more people who will need to work on creating more web pages. 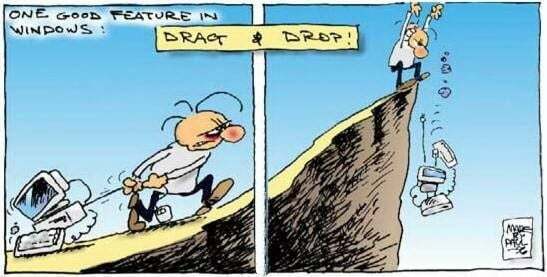 For their sake, a drag-and-drop builder will make things much easier. Staying competitive and up-to-date. Alternatives to WordPress, online website builders such as Wix, Weebly, and Shopify, heavily market themselves for their drag-and-drop styled editors. WordPress page builder plugins make it competitive in the context of the market dynamics of today. A contemporary WordPress website needs a lot more than basic design elements. There are image carousels, social sharing widgets, content grids, sophisticated columnar data, animations, tables, call to action buttons, pie charts, and video loop boxes. Now, you might not require these advanced content formats for all posts, but whenever you do, you wouldn’t want to install a dedicated plugin to manage your requirement. By having a page builder plugin in place, you can solve all these advanced design and content requirements once and for all. You’d recognize your favourite websites even if all the content on them disappeared; that’s because of the unique design (headers, content structure, backgrounds, navigation menu, etc.). Now, even if you choose a premium WordPress theme, chances are that it will not fit your design imagination perfectly. As the result, there will be some sort of design compromise involved. Then, there will be other websites using the same theme, which makes it challenging to garner brand recognition from web design. These drag-and-drop page builders solve the problem; you can add significant design tweaks to a chosen theme. Moreover, some high-quality WordPress themes have a drag-and-drop plugin built-in which will make your website customization easy and pleasant. You can’t ignore the value of such a plugin for those who are not entirely comfortable with HTML coding. Correcting minor design flaws such as disproportionate space between multiple columns, for instance, could take hours of effort in trial and error via HTML code correction. With a drag-and-drop styled page builder, however, you can do it within 5 minutes and publish the changes. You can see the history of the changes you made and can roll back the design to a previous stage with a single click. Adding rows, columns, and manipulating layouts for complicated content presentations is easy with these plugins. Make specific changes for mobile and tablet versions of your websites. Options to create reusable templates that can be saved and used anytime later. With custom modules and developer tools, these plugins extend additional capabilities to HTML experts. Many of these plugins are compatible with WooCommerce, which extends the design aplomb to your WP e-stores. Live editing, to help you implement changes on live website version in real time. Options to export specific portions of designs to other pages, resulting in a super quick creation of consistently designed web pages. These page builders inspire non-designers into taking up the design part of website creation, which brings quick but messy results. The code left behind by these plugins when you deactivate them is too complicated and not clean. The website owners are locked into the plugin in some time and have to bear the risks of the plugin developers abandoning support and upgrades. Uninstalling the plugin could result in the website losing all the content created using the plugin. In some cases, installing plugins from unreliable sources brings in security risks to the WordPress account. It’s possible that such a plugin could impact the loading speed of your web pages. In some instances, these concerns can be deemed justifiable. However, considering how thousands of WordPress websites have successfully created stunning designs using the top-rated drag-and-drop page builder plugins, these opinions seem rather harsh. Beaver Builder is a premium plugin, but you can get a light version of it in your WordPress admin panel. All the packages provide you with a Beaver Builder theme; some even have multisite functions. To my view, Beaver Builder is one of the best drag-and-drop page builders. Install the plugin in one click, and it’s ready to use. Once you are in, the plugin will guide you through its main elements to give you a general idea of how it all works. This plugin is compatible with all WordPress themes, including custom ones from TemplateMonster. Unlike other page builders, Beaver allows you to combine projects and work on them simultaneously. There are three available module categories: WordPress widgets, advanced and basic. The first category shows all the active widgets of your site, including the main WordPress widgets and those installed later. This module allows you to include images, text, and various content components. 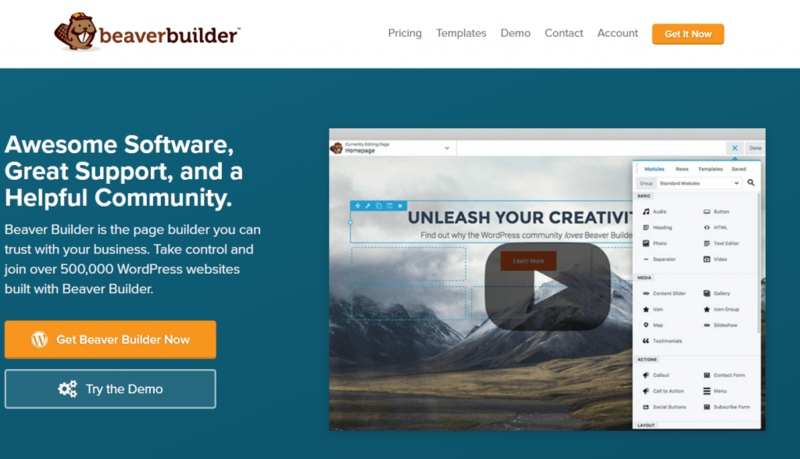 Finally, Beaver Builder has plenty of content blocks: slideshows, pages, testimonials, buttons, tabs, forms, pricing tables, and much more. Editing all layout elements from the menu is possible. Custom page layouts can be saved in the Tools menu. Saved layouts can be applied to other pages in the future. Keeps changes even if you are not using Beaver Builder anymore. Not all WordPress page builders work that way. The plugin does not support the ability to insert one column inside another. Elementor is another powerful and easy-to-use builder. It uses front-end editing instead of messy back-end codes and is one of the most popular WordPress page builders. Currently, Elementor involves more than 100 thousand active users. And so that you know, many TemplateMonster WordPress themes include this plugin in their features package. Elementor is meant to replace the standard WordPress editor completely. Enter the editor, create a page and add sections, titles, images, buttons, maps, sliders, and other elements in a drag-and-drop manner. Once you try Elementor, you wouldn’t want to go back to a standard WordPress editor. The basic plugin version has 28 unique elements that come along with another 15 built-in WordPress widgets. Plus, you can always expand its functionality by installing Press Elements. This is enough to create modern landing pages, arrange stylish blog posts and customize the entire website. It works very fast for simple page layouts. Although, when it comes to complex templates the loading speed might be irritatedly long. A large number of built-in widgets. Elementor canvas – a native blank page template for a full-screen template editing (no header and footer). Keeps the history of changes. Has a lot of additional settings of colors, fonts, etc. Complex layouts load slowlier (up to 10-15 minutes). Adding custom CSS styles for blocks is available only in Elementor Pro. Less convenient editing panel for widget settings. Visual Composer is apparently a best-selling premium WordPress plugin from CodeCanyon. 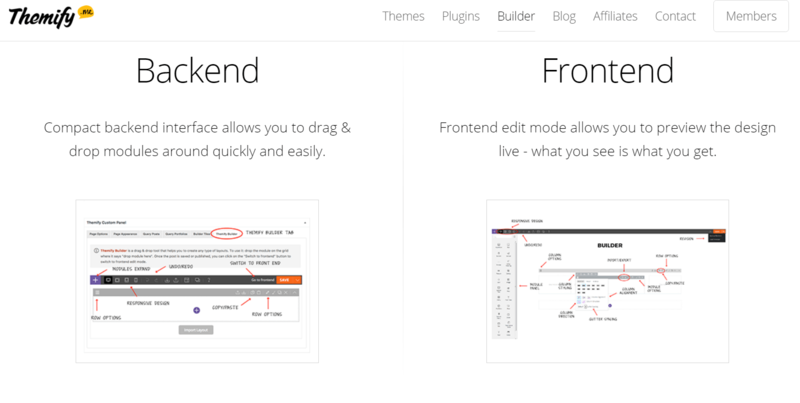 This builder supports both front-end and back-end editing. So instead of dragging and dropping here and there, you can become a skillful coder and use the plugin for serious business (just kidding – front-end rocks). 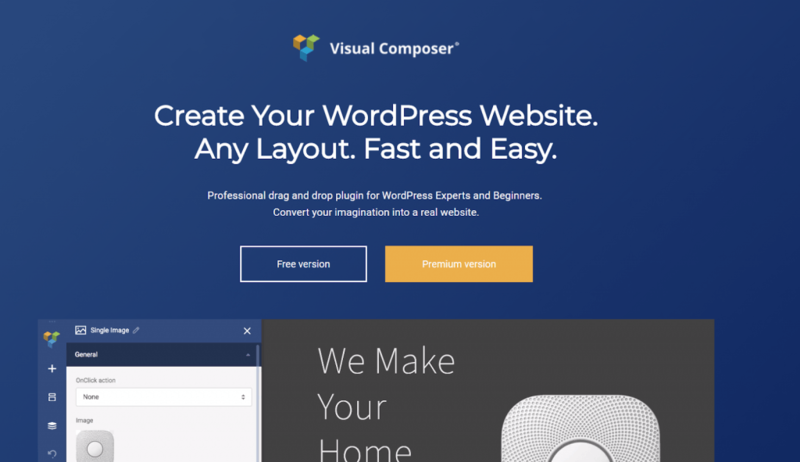 Visual Composer has more than ready-to-use 40 components. The major ones are multimedia components for images and video, social media buttons, sliders, a support function, etc. The plugin is quite flexible. You can easily add additional modules if you know how. In general, you’ll spend no longer than 15 minutes to understand how it works. Both the front-end and back-end interface is convenient and user-friendly. It seems like an easy-to-use page builder but not really. Be prepared to devote at least several hours of your time to editing an average site. First, you’ll need to find out all the possible options that you can choose while working with each element. But don’t worry too much – Visual Composer already has several ready-made templates to make your life easier. So, here are Visual Composer main components: an information window, icons, a modal pop-up window, an interactive banner, timeline and extended Google maps. The plugin also has more than 40 built-in content blocks, such as Facebook Like, Pinterest, Single Image, Call to Action and much more. We compared Visual Composer and Elementor, so you may be interested to read about it. Supports both front-end and back-end editing. Has a lower price compared to other drag-and-drop page builders. Consists a bunch of content elements and premade layouts. Creating a website can take hours. Text editing is not a WYSIWYG experience because the plugin uses pop-up sections for text modifications. MotoPress is another fully-responsive visual builder to edit your website, blog or an online store. This easy-to-use plugin allows you to edit and organize content on your site in real time. One-click installation is followed by MotoPress user-friendly interface. You can get familiarized with the plugin features by watching nine tutorial videos. Just click the Help and Tutorials button. The plugin supports only frontend editing. It is compatible with all WordPress themes and works with both posts, pages, and layouts. Without any specialized technical knowledge, you can add new content blocks, manage media data and organize information in the editor. Intuitive drag-and-drop interface recognizes automatically where you’d like to place an element and drops right in the right place. MotoPress supports 20 modules, which you can easily install in a builder in a single click. Those are Title, Paragraph, Text, Quote, Images, Buttons, Video, Audio, Tabs, Chart, Google Maps, Widgets, etc. Each of these modules works perfectly with TemplateMonster themes for your site that you might want to buy. When you save your editing, the builder gives every post/page a unique code that will stop working if you decide to uninstall MotoPress. Also, keep in mind that once you enter WordPress, you will always need to click the MotoPress Content Editor button to use the builder. It’s not a substantial thing, but it can be confusing. If you wondered which one is better, MotoPress or Rlrmrntor – you definitely need to read this article. The perfect solution for WordPress newbies. Lets you create multicolumn layouts easily. Works with any WordPress theme, post and custom post type. Offers several premade layouts for quicker editing. Access to multiple not-so-obvious content blocks like charts, countdown timers etc. No shortcode lock-in effect: if you uninstall the plugin, your content stays intact in a simplified way, without shortcode mess. The plugin is fully compatible with WooCommerce, MailChimp, BuddyPress and other popular WordPress plugins. 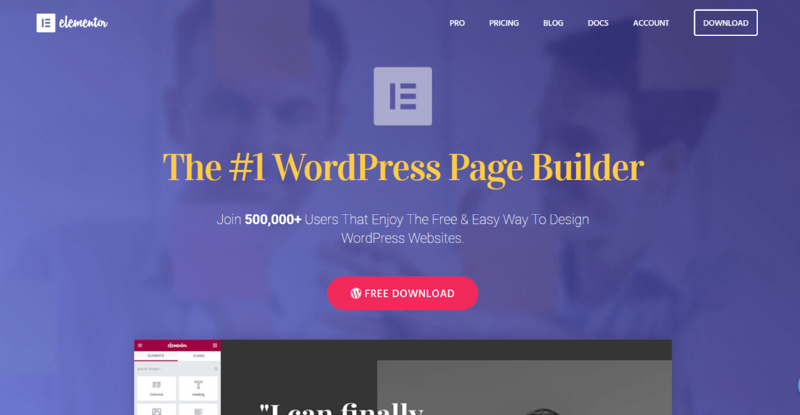 The most affordable premium WordPress page builder on the market. The free version is available. The current version doesn’t offer complex pre-made templates, only basic layouts. Maybe a little bit slow on the backend. 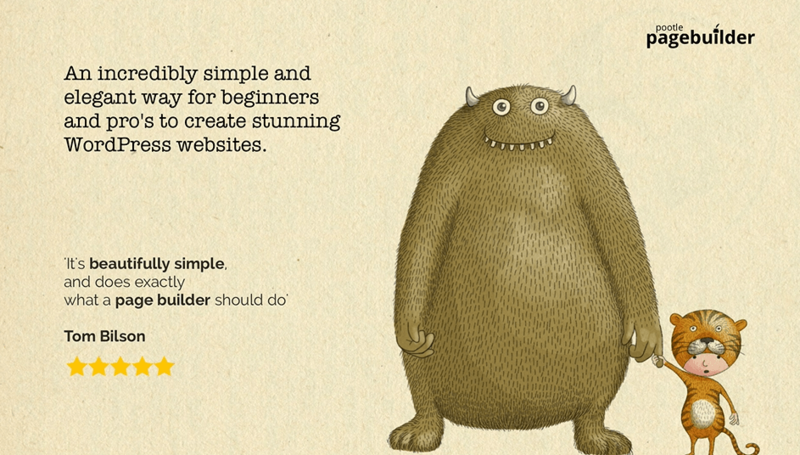 The mascot of a Pootle WordPress website builder is very cute and shows every visitor that dealing with this software is really a child’s play. The page builder is mobile friendly and works with other plugins and any type of theme. However, it deletes all the content that was created before the builder installed. The builder’s code is well-written and the software works fast and without any kind of issues. Parallax animation and video backgrounds are already built-in to this WordPress page layout builder, so you won’t need to seek for it. Pootle Page Builder is also compatible with WooCommerce, so you will be able to customize even commercial websites and online stores. 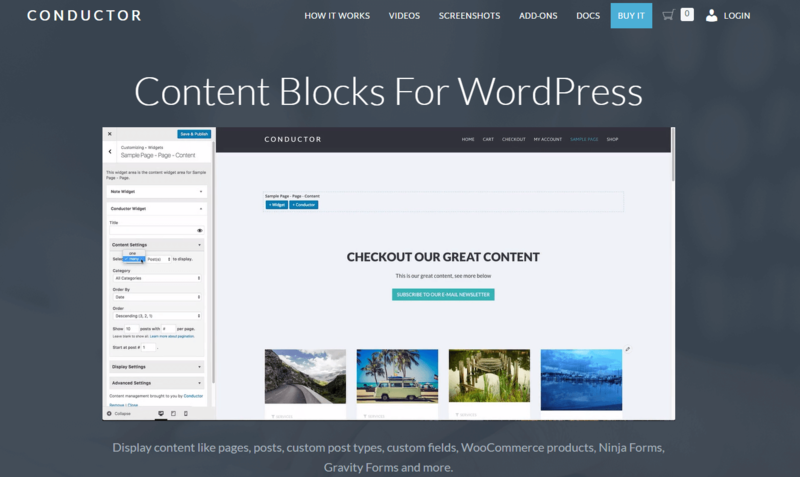 This WordPress builder claims itself to be the fastest content customization software in the niche and that is not really far from the truth. It will take only a few hours to build and launch your businesses website with the help of this page builder. Thrive also offers you a set of landing page templates, optimized to the sales funnels, but they are not available for free. The WordPress page layout builder gives you some responsiveness options. You can scale the website’s design and see how it will look like on the different types of screen. The interface allows you to set visibility for different elements and they will be displayed only on the mentioned screens. The interface is perfectly understandable; you can do all the changes without reading a manual. Things that are created with great care and accuracy are often one of the best. 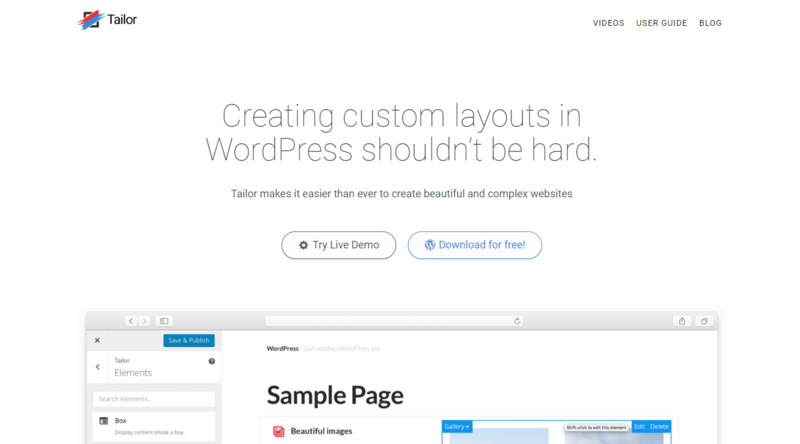 Tailor WordPress Page Builder is created by Andrew Worsfold with sufficient attention to the details. The interface is designed to fit the native WordPress editor perfectly, at first you can even think that it actually is native WP functionality. There’s nothing redundant in this page builder, there are almost no icons at all, but it doesn’t make the interface boring. Instead of that, it makes it much easier to understand. Somebody can say that Tailor is poor in offered design elements, but you really don’t necessarily need them. This drag and drop WordPress editor is an accurate tool, perfect for customizing layouts, and it doesn’t need to provide you with functions other plugins do. 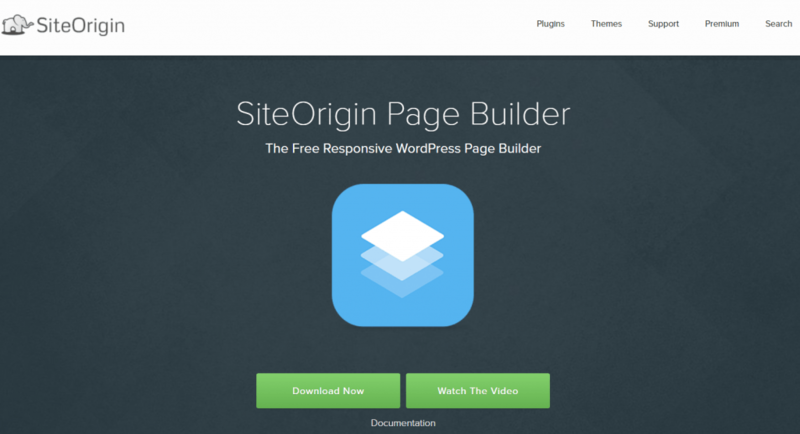 Page Builder by SiteOrigin is a free plugin that contains WordPress widgets. It will help you create and modify adaptive websites without touching a code. This drag-and-drop builder is convenient for beginners due to plenty of ready-to-use widgets. Everyone can easily learn how to use them to create a stylish website with all kinds of useful elements. Those used to working with WordPress control panel interface will get along with Page Builder for sure. It has minimal modifications compared to the original WordPress interface. All your modifications will be visible in the process of editing. The history tab allows you to go back and review all the changes. This is convenient in case you make a mistake, so you just go back and redo. Supports widgets from other plugins like Ultimate and Shortcodes. The offered live page builder is “weaker” compared to other options mentioned above. There are no nest columns within other columns. Using Themify Builder, you can cut and paste anything you need into the code. There is an interactive preview of every change that you make with this visual editor. Themify Premium plugin has two modes of back-end or front-end editing. The plugin includes such tools as preview and import. This means you can show “the raw draft” to customers and partners and find out what they think. Works well for multiple solutions – from designing simple page layouts to creating the entire sites. An easy-to-understand guideline to familiarize you with basic plugin features. Fewer options for content modules than the other plugins mentioned above. Front-ending editing doesn’t allow you to see changes in a live mode. To see one, you have to save changes and switch to the preview mode. Before the Divi 3.0 release, this WordPress website builder has problems with its front-end editing, however now it is all in the past. The visual editor works perfectly and smoothly, and the huge set of back-end tools allow you to change column size and spacing. With Divi, you will be able to create a divine layout in a few minutes without diving into coding. After creating a design, you will be able to save it, partially or on the whole, to the Divi Builder Library for further use. You won’t need to start from the ground up, Divi provides 20 ready-made layouts and you can customize it to your needs. There are also 46 content elements, including contact forms, testimonials, pricing tables, e.c.t. If you are going to make several pages that have some similar elements – you can sync them and change all of them simultaneously. 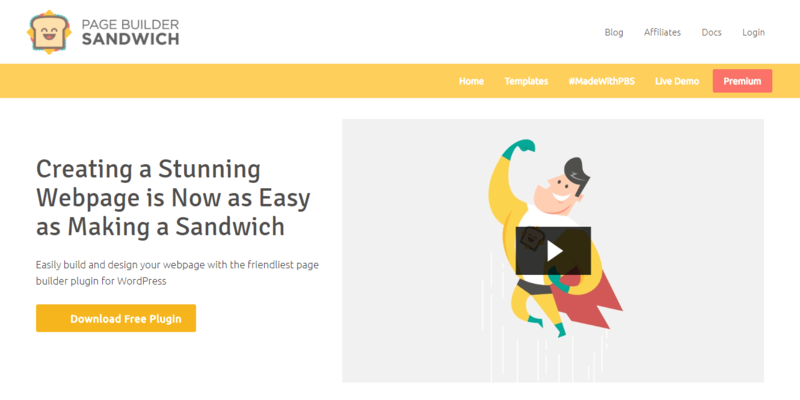 Compatibility with any themes and plugins in one of the most essential advantages of a WordPress page layout builder and Sandwich has it. All the necessary tools are available and work smoothly. With this drag-and-drop WordPress website builder, you will be able to customize the website from the front-end and back-end. While changing the layout you can check how the page will look like on the PC, tablet and mobile phone screen. Page Builder Sandwich has a very convenient Shortcode Mapping feature that let you insert any shortcode to the page without typing it manually. Premium version has an additional pack of vector icons, extra pre-designed elements, plugin shortcodes, e.t.c. The builder has nice e-mail tech support and a number of forums where you can ask your questions. Elementor and Page Builder Sandwich has a few features in common. Want to know which? We have an article about it! Most of the WordPress theme builders can give a user control over the content area of the page. However, Conductor expands that abilities and gives you control over the whole space between footer and header. You can move sidebars and change the layout just the way you like it. This page builder is not an all-in-one solution, it doesn’t have dozens of elements and available modules. However, it is a very good narrowly specialized product, that gives you complete control over the website layout. It is completely compatible with Ninja Forms and WooCommerce, so you will be able to create any type of website. With Conductor, you get the option to gather your content to a grid and display the custom post types. It uses WordPress widgets in its work and transfers them to any new theme you are currently working on. This one is the youngest of all the page builders presented here. It was launched in April 2018, but already gathered a huge audience of users (about 9000 installs). The originality of this WordPress page builder is that it allows you to do all the changes right on the page (you even can type text directly on the space you want to place it at. 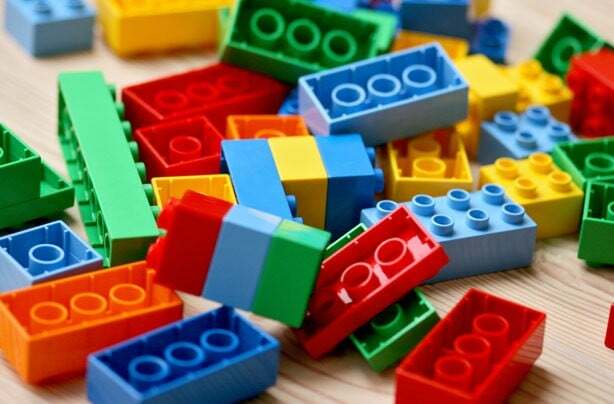 The page builder offers you 17 design elements and about 150 blocks. You can change not only how the content area will look like, but header and footer too. Typography, colours, backgrounds – you have complete control over the whole website. With Oxygen drag-and-drop WordPress builder you will be able to create and design not a single page, but a whole website. If you have several websites, you don’t need to buy multiple Oxygen accounts, you can customize all of them from one license. All the design elements go in specialized sets, that make website building process easier. A free design set includes more than 160 components, about 50 ready-made pages and 5 example websites. The page builder is compatible with other plugins and allows you to change their appearance on the website. You will get all the newest updates because the plugin has a lifetime update support. If you are a skilled developer, you will be able to code right inside the Oxygen interface and make your website really perfect with ease. Is not optimized for creating SEO friendly websites. Creators of Brix drag-and-drop WordPress website builder did their best to make it really fast and light. It downloads everything in a blink of an eye and doesn’t affect the page loading speed. It doesn’t have any limitations on what to build – you will be able to create a layout of any level of complexity. The page builder has lots of pre-made LEGO-like modules, more than 2200 icons, content carousel mode and other useful features. If you have some problems with getting along, the detailed documentation and friendly support team are at your complete disposal. This WordPress page builder has a sufficient audience of users. One of its main pluses is that it is completely free to install. There are some paid add-ons, but you don’t have to buy them to use the plugin. The page builder is good both for beginners (visual front-end composer is available) and experienced users (you easily can go to the custom CSS box). The builder offers more than 40 ready-made content modules and is optimized according to the search engine ratings. Any design element you create could be saved, exported and imported to another site, so development process becomes much faster and easier. It is intuitive, smooth, smart and efficient. It has tonnes of useful features. There is a big bunch of design elements for every taste, the huge library to save separate elements and even whole pages, functionalities to share your savings, import/export them, do backups and add custom CSS directly to the page. Sounds perfect, huh? It would be if the builder worked with any theme. Instead, you get all those brilliant advantages only if you work with Theme Fusion Avada template. If you use another theme this WordPress builder breaks and shows much less functionality. Though creators write that the builder is universal, it is not, but it will be an ideal solution if you use Avada template. In this review, I’ve tried to combine all kinds of options that suit everyone’s needs and budget. If you need, you can spend almost a hundred bucks on Beaver (not a real animal but you can think about it too – beavers make good pets). Or choose a bit cheaper variant. Did I tell you that you can do everything you want? Which of these five drag-and-drop page builders would you choose for your website? What kind of website is that? Have you ever tried one of these page builders before? Did you like it? Please, share your thoughts below. Elementor or Page Builder Sandwich: Which One Is Right For You?